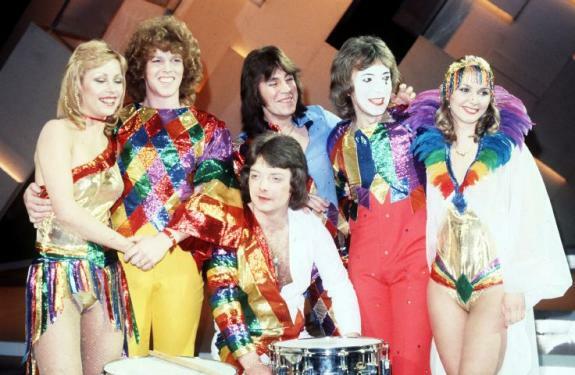 Co-Co, represented Britain in the 1978 Eurovision Song Contest. They are pictured at the Royal Albert Hall when they won the British heat with the song "The Bad Old Days". (Left to right) Josie Andrews, Paul Rogers, Charles Brennan (seated), Terry Bradford, Keith Hasler and Cheryl Baker.